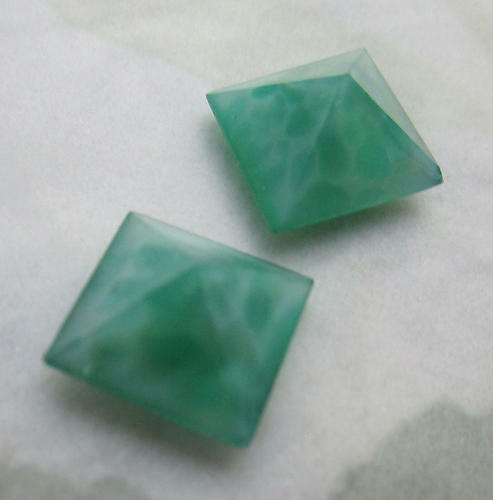 11x11mm. 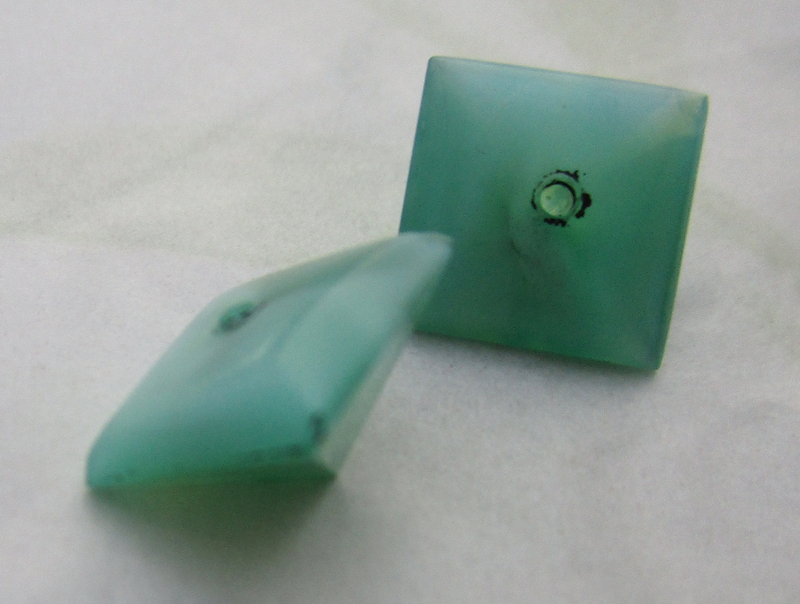 Vintage glass chrysoprase green mottled pyramid cabochons from Western Germany. Backs are rounded. New old stock. Jewelry supplies.